Ahh, that was refreshing. In the midsts of a couple boring first rounds from the NHL and NBA playoffs, the NFL delivered. Like any meal there are leftovers . . I'm here to address them. Jimmy Clausen, I'm not a fan. That being said he's gone to heaven by falling out of the first round and right into the laps of the Carolina Panthers as the 48th overall pick. Like Matt Ryan, Joe Flacco, and Mark Sanchez, he could take the reigns with an excellent rushing attack behind him. Between Jonathan Stewart and De'Angelo Williams, the pressure for any Panther QB to step in and throw the ball around the lot is out the window. Both are capable of running for over 1,000 yards every season. Then comes the protection, Jeff Otah, Jordan Gross, the Panthers are protecting Claussen from taking David Carr like derailing hits. 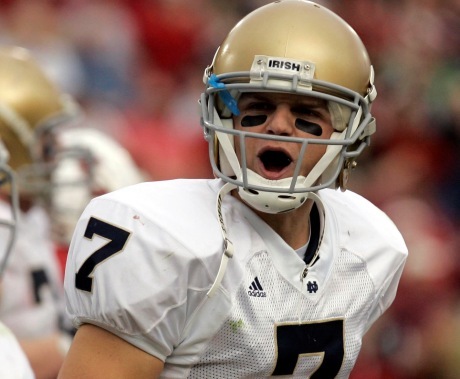 Jimmy Clausen has some weapons around him and the intangibles to succeed in the NFL. As much as I dislike him as a player, if he's going to be successful in any situation, the Panthers would be a good fit. 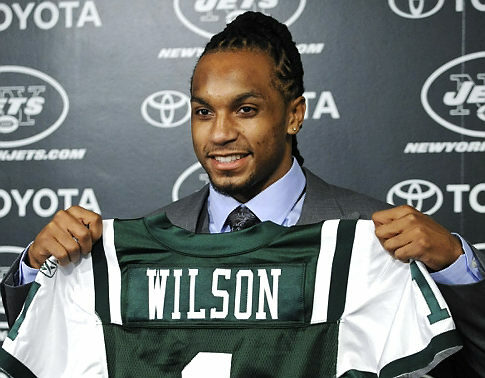 Make no bones about it, the New York Jets are going for broke. For the first time in a long time the AFC East isn't as much of a cupcake as it once had been in recent memory. The Patriot Way is in jeopardy as Rex Ryan is shaking up the NFL one move at a time. His Jets got lucky last season, they know that and aren't sitting on their hands. Adding veteran players like Jason Taylor and LaDanian Tomlinson, locker room guys who still have something left in the tank. Adding big play caliber players Santonio Holmes and Antonio Cromartie. Picking Kyle Wilson, an elite corner back in this draft. Joe McKnight an explosive player in his own right. The New York Jets are acquiring players to make this team balanced all the way around! If anyone thinks the the Jets aren't making a serious bid to win the Super Bowl, you haven't been doing your homework. Adding weapons to Mark Sanchez' offense, bolstering a rough and tumble defense, the Jets are making moves and plan on going for broke. I feel for Jason Campbell, really I do. To go from the Washington Redskins to the Oakland Raiders, ugh! 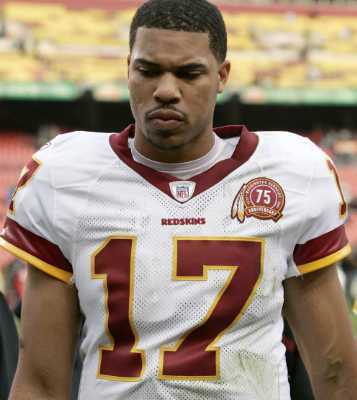 Here's the problem, I actually like Jason Campbell as a quarterback and he got a raw deal in The District. Between 4 & 5 offensive coordinators with different offensive schemes have mismanaged Campbell's career while in Washington. I don't think he's Peyton Manning but even a cerebral quarterback such as Manning wouldn't have succeeded as quickly with that many different programs in his first six seasons in the league. Campbell needed out of Washington and with the McNabb trade it was bound to happen, just wish it had been to somewhere else. All that being said, he's got to have developed pretty tough skin at this point, even Al Davis can't break him down anymore. In Oakland, he'll have a mess of talented players around him, from explosive running backs to speed receivers, there is no shortage of raw talent developed in Raiderland. Unfortunately, he'll be in yet another offensive scheme, I feel for him. No one is talking about them, but the Cardinals made some quality selections throughout the three days. What many assumed was the best true nose tackle in this draft, slid from a top 15 pick all the way to the Cardinals in the first round at twenty-six. After losing Karlos Dansby, Anquan Boldin, and of course the retirement of Kurt Warner, the Cardinals made some great plays starting with Dan Williams from Tennessee. With the blessing of Monte Kiffin, the Cardinals are taking a player who can clog up the middle and allow the newer Cardinal linebackers to make the plays. 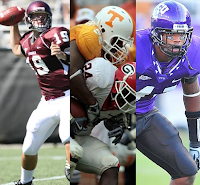 Their second pick, Daryl Washington, the exciting 6'2" linebacker from TCU, a speed guy who is a monster inside backer. Washington is a big time player with a ton of ability. The Cardinals also added yet another insurance policy on Matt Leinart, whose really got to be feeling the pressure with the signing of Derek Anderson and now the drafting of Fordham quarterback John Skelton, a big player at 6'5", 243 lbs., whoa. With offensive whoas the Cardinals brass are defining the defense and preparing to stay in the thick of the wild, wild, west. What about Tim? If everyone is slamming Josh McDaniels for drafting the Florida legend at #25, then I'm going to defend it, especially if it means I can rip former Irish quarterback Brady Quinn. Think McDaniels is crazy? A bit. Tebow is literally the most criticized player to be drafted in the first round in recent memory. Next to the Jaguars selecting Tebow for ticket selling purposes, no one was justifying Tebow as a first rounder, no one. Then Josh McDaniels threw caution to the wind and made the move to secure "The Great Intangible." Not to mention McDaniels dumped Brandon Marshall to the Dolphins and quickly handed his number to Tebow, after drafting his replacement in Demaryius Thomas the 6'3" receiver from Georgia Tech. 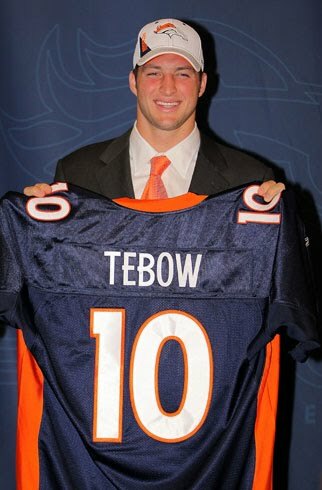 Today the Denver Broncos are offering up a new day that begins with Tebow. Under perhaps the games brightest young quarterbacks coach turned head coach, Tebow and the recently added Brady Quinn will compete for future reigns of this franchise. McDaniels made sure to explain that Tebow isn't a six snaps a game Wildcat quarterback, he'll be competing for the same job as the other three quarterbacks on the roster. We may not appreciate Tim Tebow, but if McDaniels believes he can turn water into wine, (And I'm sure Timmy will love that reference) then I'm all in. Brady Quinn and Kyle Orton aren't exactly certified stars in this league, so you better believe Broncos faithful will be holding McDaniels to the fire if this fails. Quit crying Taylor Mays, you aren't even in the top three among safeties! 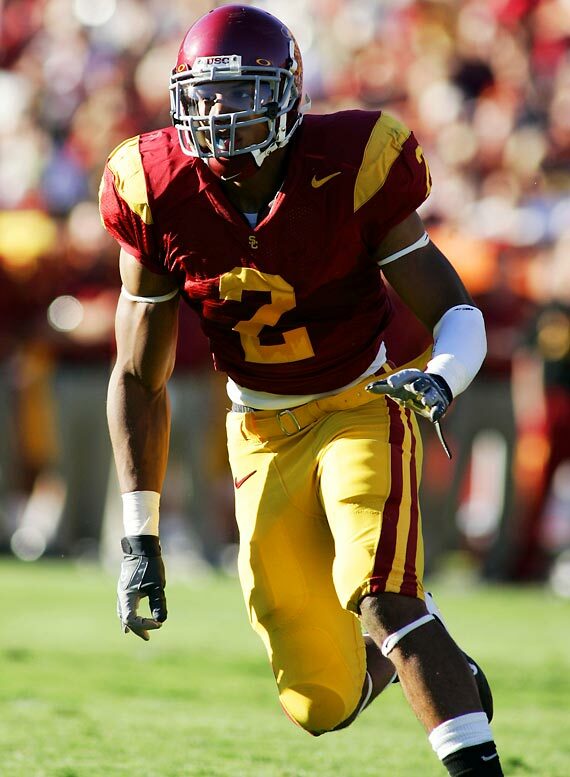 After the former USC safety was selected 49th overall by the San Francisco 49ers, a great team for him, Mays decided to sound off on former college coach turned Seahawk head coach Pete Carroll, for passing on him. Quit crying Taylor! With Eric Berry, the Tennessee phenom selected (5) by Kansas City, the Texas play maker Earl Thomas being drafted (14) by Carroll's Seahawks, and Philadelphia snagging South Florida's Nate Allen (37), then you came off the board! It wasn't just Pete who thought you weren't the player you think you are. Taylor, your going to San Francisco, with a team who can get the best out of everyone including Alex Smith and his small hands, just be happy your in the league! Looking forward to next years crop? Here's a quick profile on the best two collegiate players about to make the jump. 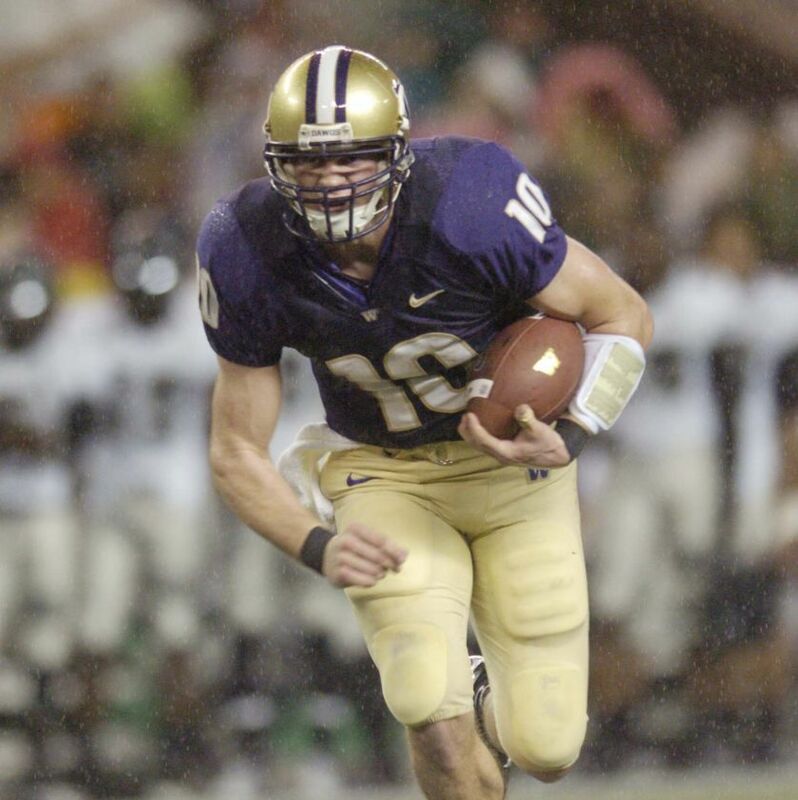 A Husky signal caller from the upper Northwest and a bone crushing Bayou Bengal. . . .
Jake Locker QB, Washington Huskies Haven't heard rumblings of his game yet, it won't be long. The early on favorite to win the Heisman Trophy is back for his senior campaign and second season under former USC offensive coordinator turned Washington head coach, Steve Sarkisian. In 2009 under Sarkisian's tutelage, Locker threw for nearly 3,000 yards and notched impressive wins against California and USC. As a 6'3", 230 lb. quarterback, Jake Locker can both stay in the pocket withstanding the rush and evade tacklers while throwing on the move. A number of NFL scouts believe that had Locker come out after his junior season it would have been a virtual toss up between he and eventual 2010 #1 selection, Sam Bradford. If Locker can continue his upward progress in the West Coast offense while staying healthy it'll be very hard for any team to pass on him. Patrick Peterson CB, Louisiana State Tigers 31 Cornerbacks were drafted in the 75th NFL Draft including (5) five in the first round. I'll say it today, Patrick Peterson is quite possibly better than every single one of them. The 6'1" cornerback is entering his 3rd season on the vaunted LSU defense. He's a hard hitting ball hawk who has an amazing ability to close in on receivers and break up passes all over the field. When scouts ascend on The Bayou to get one look at Patrick Peterson, he'll become the most sought after cornerback since the Tennessee Titans selected Pacman Jones #6 overall in 2005. Take a look for yourself . . . The NFL rolled the dice putting their draft selection show on prime time competing against both the NHL and NBA postseasons, and against your routine Thursday night programming, and the whipped 'em all. It may be for just a weekend in the early Spring, but the NFL takes center stage any time they speak up. I love THIS game and so do you.